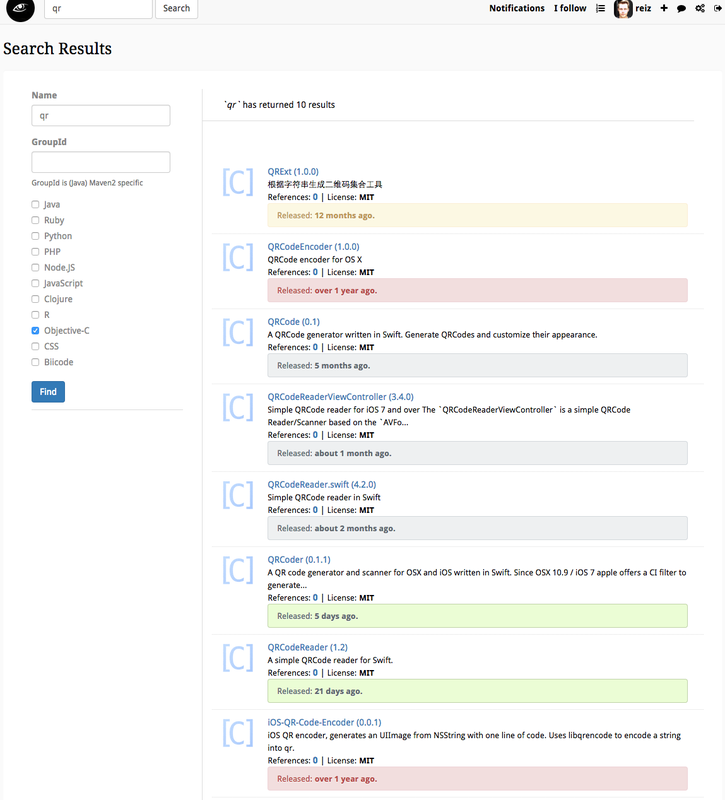 The search results on VersionEye just have changed. Now the license information and the latest release time are displayed directly in the search results. Until now this information was only available in the detail view. You can see the licenses immediately. And you can see that 2 results are marked red because their newest version is older then 1 year. The risk that they are not maintained actively anymore is high in that cases. QRCoder and QRCodeReader have been released in the last 30 days. It seems that they are actively maintained projects. I would check them out. 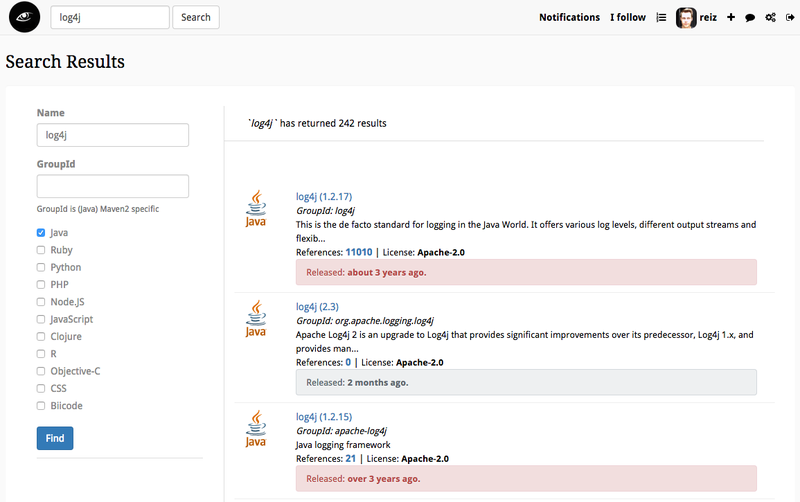 Now you see immediately that the first result for log4j is an old library because the newest version of the library was release more than 3 years ago. That’s why it’s marked red. The 2nd result of log4j is the current brach and the newest version on that was released 2 months ago. You can also see immediately the licenses of all libraries, without going into a detail page. The new search results should help you to see the relevant information more quickly.